What are Global Hotkeys? How do I configure the hotkeys on my Office@Hand Desktop App? Click Hotkeys. The available keys will be displayed on the right. You may customize the following Hotkeys by clicking the box, then pressing the function key to be assigned. Note: You assign any of the function keys from F1 to F12, except for F7. 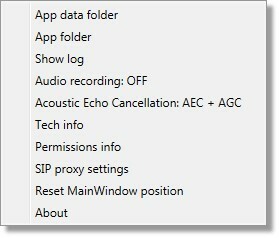 Pressing F7 maximizes the Desktop app window. 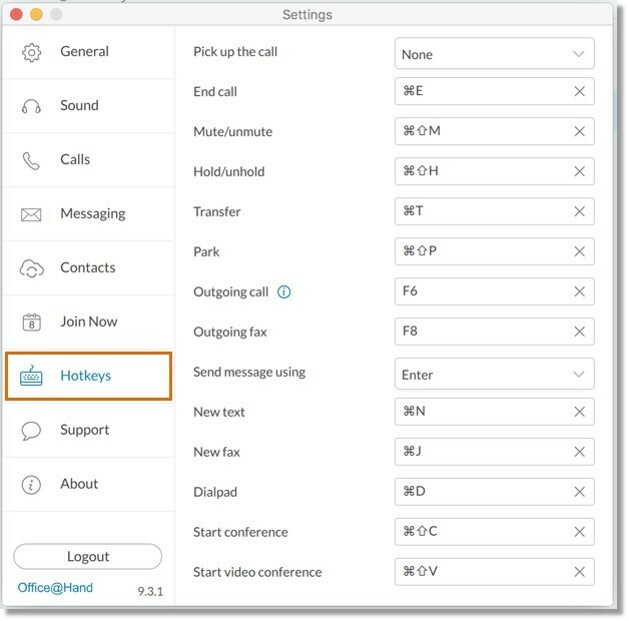 You can set hotkeys to pick up a call or to send a text message. Click the drop-down menu to view available keys, then click the shortcut key you prefer. 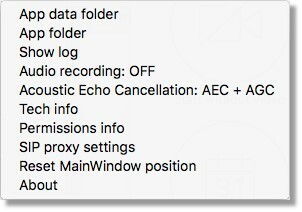 Click the Close button to exit the Settings window.